When men question their primary care providers about using testosterone replacement therapy, they are often either deterred from using it, or are referred to a medical specialist. But doctors who prescribe testosterone cypionate as well as other forms of Low T therapy can now be found online, which has put time-consuming referrals and other obstacles to fast and effective treatment for testosterone deficiency in the past, where they belong. Today there is a much more efficient way to receive effective medical treatment for your Low T symptoms and it is offered to adults by respected hormone replacement therapy providers such as Nexel Medical. 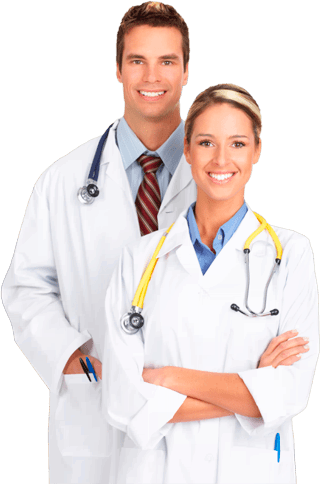 If you have been procrastinating about getting medical treatment for your symptoms because you have convinced yourself that it would be too much trouble, this is your time to discover the ease and convenience of using fully credentialed online doctors. It is especially helpful for people who are seeking specialized medical providers such as hormone replacement therapy doctors that might not be available in their local areas. Today’s younger adults, and the youngsters who will become the adults of tomorrow, have grown up with the Internet as a huge part of their their lives, so the concept of using it to receive medical treatment is a perfectly natural one to them. But if you are over the age of 40 or so, then you might be surprised by how many adults are already using the Internet to access the specific medical care, such as testosterone replacement therapy (TRT), that they need – but can’t find locally. With online medical care, your location no longer limits you. Whenever people need to find doctors who prescribe testosterone cypionate to treat Low T, they can now do so in minutes, instead of taking weeks or even longer to find the medical professionals who can help them. It’s all part of the digitally interconnected world we all are living in today, and Nexel Medical has remained at the forefront of this better and faster way to deliver specialized medical care for adults with symptomatic hormone disorders. Our doctors are among the best in the professional field of hormone replacement therapy and you can receive treatment from them as quickly and easily as going online to access them. Your own physician may or may not be familiar with testosterone cypionate; it depends on how much training and experience he or she might have with male hormone replacement therapy. However, the doctors who prescribe testosterone cypionate routinely, like those at Nexel Medical, have a far deeper understanding of how this prescribed treatment benefits men who have developed Low T symptoms. They have witnessed the positive results repeatedly and they know how to maximize each patient’s treatment based on their own personal requirements for therapy. Among hormone replacement therapy doctors in the US, testosterone cypionate is by far the most widely prescribed form of injectable TRT that they prescribe for their Low T patients. It’s not because there are not other forms available; it is because they have had decades to study its record of performance. What they have learned about its benefits is impressive. Testosterone cypionate has been clinically shown to consistently provide improvement in Low T symptoms with the first few weeks of treatment. Patients can expect to experience increased energy and stamina; the full return of their libido; improvements in muscle tone and mass; an increase in emotional wellbeing; and losses in excess body fat. The benefits exponentially accrue over the course of a 6-month cycle of therapy. The cypionate form of bio-identical testosterone lasts the longest after being injected. This means that patients using this form require the lowest frequency of injections over the course of their treatment programs – typically just a few times a month. The treatments are easy to learn how to correctly prepare and inject, allowing patients to self-administer them at home or wherever they are. Digital technology has made easy to follow video instructions instantly available for anyone to access online. Most doctors who prescribe testosterone cypionate are aware of the fact that their patients are often financially responsible for the cost of their treatment, since medical insurers don’t always provide full coverage for TRT. They also know that the use of testosterone cypionate injections is one of the most affordable as well as effective forms of treatment for male hormone deficiency. TRT doctors are also confident in the data that has substantiated the low risk that is associated with the ongoing use of medically prescribed and supervised testosterone replacement therapy. In their medical opinion, the health risks that are attached to leaving Low T untreated are far more significant than any potential and currently unproven risks of using TRT appropriately. Finding doctors who prescribe testosterone cypionate online may take only a few minutes of your time or even less – but how long does it take to actually receive your prescription and begin using your treatment? When you choose Nexel Medical, the process for receiving treatment goes very quickly. Right now, you are taking care of the first step, which is to become informed about your options for TRT. You’ve learned that its doesn’t have to be difficult to find yourself a highly qualified and experienced hormone replacement therapy doctor just by going online – and Nexel Medical has made the remaining steps as effortless and convenient as possible for our patients. Those steps begin as soon as you contact us by phone or through our website (which has an easy to use contact form), one of our clinical advisors can schedule your initial blood testing and exam for you with medical professionals in your local area. Once those have been performed, your results will be digitally transmitted to our TRT doctors for their review and evaluation; our doctors will also want to review your medical history, which you can submit to us by using the convenient form that is included on our website for completing this step. The remaining steps are ours. Upon being diagnosed with testosterone deficiency, your Nexel Medical doctor will devise your individual program of TRT, a program that is based on your personal requirements and goals for treatment. You will be issued a valid medical prescription that will specify your medication, your dosage, the frequency of administration, and any special instructions that may or may not be required. At all times, you will receive assistance and information whenever you need it simply by contacting a Nexel Medical clinical advisor for patient support. It’s possible that you will find scores of US doctors who prescribe testosterone cypionate online; but Nexel Medical is among the few that can provide the highest quality of medical treatment for adults who have Low T symptoms on a local basis, nationwide. Our doctors have created a treatment process that allows adults living anywhere in the US, including Alaska and Hawaii, to access our TRT medical expertise ever without having to leave their local areas to obtain it. The final steps in your treatment process are purchasing and administering your prescribed medications; and while testosterone cypionate is classified as a controlled substance rather than a drug, anyone who wants to purchase it is required to have a valid medical prescription specifying its use and dosage. That means obtaining from a licensed US pharmacy and as you probably know, many of these are now accessible online. But online is also where many illegal and fraudulent sellers of prescription drugs and controlled substances like testosterone cypionate can now be found, so consumers must be very cautious about what entity they decide do business with. Fortunately for Nexel Medical’s patients, our doctors who prescribe testosterone cypionate and other medically correct treatments for Low T have eliminated this dilemma altogether by providing our patients with a trustworthy and legitimate online pharmacy source. With your prescription for TRT, you simply go online to order and pay for your treatments, which are then promptly and securely shipped directly to you. You will never have to worry about receiving products that are mislabeled, contaminated, expired, or damaged in any way; you will receive the high quality and genuine treatment products that your Nexel Medical doctor has explicitly prescribed for you, each and every time you order them. With that step taken care of, your final step will be to familiarize yourself with the proper preparation and administration of your prescribed treatments – and you will have Nexel Medical’s support and assistance with this step as well. A number of our doctors who prescribe testosterone cypionate injections are also TRT patients themselves; and one of our doctors has posted a step-by-step demonstration online that illustrates how he prepares and administers his prescribed injections. It is not complicated or hard to learn, but it does require that you follow the correct protocols to both ensure the success of your treatment and minimize for risk for experiencing side effects. If people are now able to go online to become healthier, then the Internet is serving a common good in that regard. Health problems are distressing enough without making it difficult for people to receive the treatment they require for them; and if your current health problems are linked to Low T, then finf the help you need online with Nexel Medical.